Raumfahrt+Astronomie-Blog von CENAP - Blog: Astronomie - Besteht Zwergplanet Ceres aus Meteoritenmaterial ? 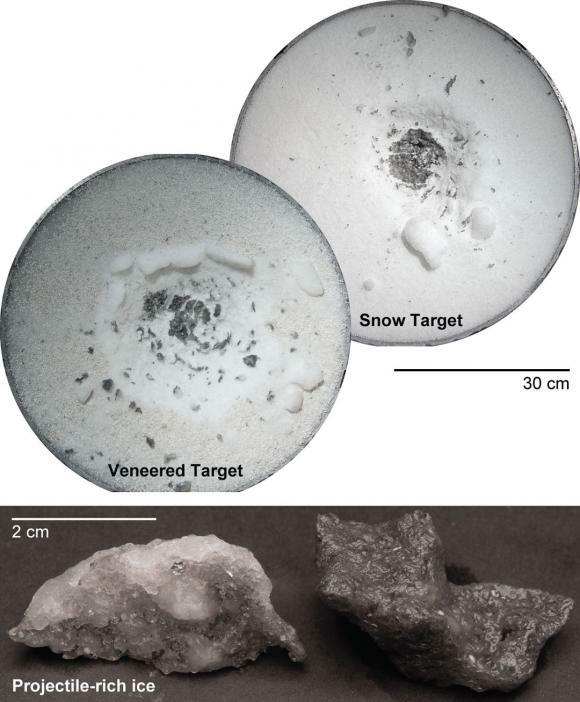 Experiments using a high velocity cannon suggest that when asteroids hit targets that are icy or made of porous silicate materials, much of the impact material stays in the crater. The findings have implications for the surface composition of the dwarf planet Ceres. PROVIDENCE, R.I. [Brown University] — A new set of high-velocity impact experiments suggests that the dwarf planet Ceres may be something of a cosmic dartboard: Projectiles that slam into it tend to stick. The research, by Terik Daly and Peter Schultz of Brown University, is published in Geophysical Research Letters .